Here is a wonderfully crafted Sterling Silver Chain! 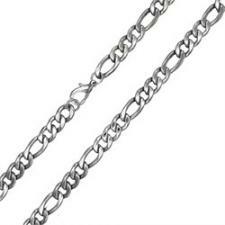 Please choose either 18" or 20" or the 24" Chain from the dropdown menu on your shopping cart. Allow up to 2 weeks for delivery.